A Golden Bear Sighting in Coastal Mississippi. Jack Nicklaus has his name on nearly 400 course designs worldwide with Grand Bear being one of his three Mississippi projects. 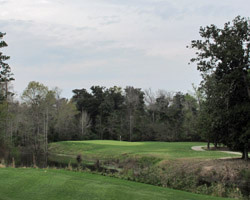 The course is cut out of the solitude of De Soto National Forest in Saucier and is the pride of Harrah’s Casino in Biloxi. Grand Bear Golf Club is a Nicklaus signature design raising the level of expectation and then living up to what the Golden Bear’s courses have become known. The six mile drive to the course through the pristine wilderness setting builds your anticipation and culminates when the elegant mountain lodge style clubhouse welcomes you to a golf experience like few others in Mississippi. The routing traverses a rolling landscape of the De Soto Forest using the rises and valleys to shape a flowing layout typical of a Golden Bear design. 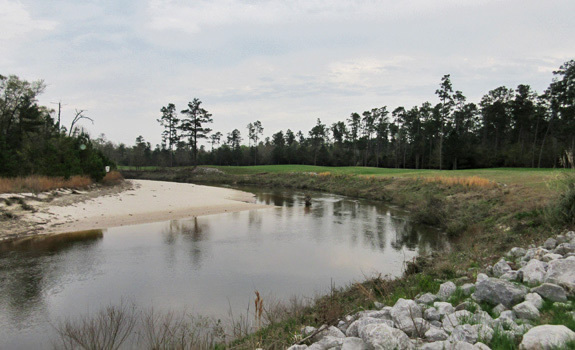 The Little Biloxi River and its striking white sand beaches form a backdrop to many of the holes. Subtle doglegs, strategic layups and tricky green sites characterize this woodland beauty. 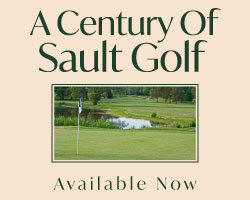 Nicklaus has assembled a fine collection of holes at Grand Bear that will test all aspects of your game. 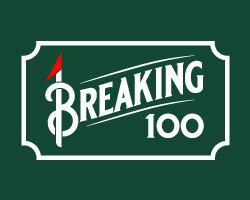 This most pleasurable experience will hopefully lead you to a post-round beverage reliving all the embellishments of the game in the spectacular library overlooking the finishing hole. Access: Public Play and for Guest of the Harrah's Casino. On a layout filled with shots that Nicklaus had mastered, our shot maker’s holes are those that ask a little more of you than the high cut so perfected by The Golden Bear himself. The second hole is a certain 3 shot par 5. A double dogleg right lined with tall pines and cypress puts a premium on a long straight drive. The second shot must find the meandering fairway avoiding the tree lines and fairway bunker. The green is long and narrow heavily guarded by bunkers left and right and an expansive collection area long to welcome anything hit long or thin. The longest par 4 on the course is Hole 6, where the drive sets up what approach shot you must select. The green is tucked high on a ledge guarded in back by two bunkers and in front by a severe fall away left. The ideal plan is to attack this hole off the right bunker with a controlled right to left shot contending with the ridge bisecting the green. The 14th is a delicate par 3 that just lays there tempting you. A long iron approach over the river must account for a longer carry the further left you aim. The raised green has many humps and bumps creating a variety of shelves for tricky pin placements. Errant shots are repelled into the collection areas forcing a really tough up and down. The penultimate hole plays as a slinging dogleg left risk / reward par 4. The only hole with the river in the line of play you must take care not to bite off too much of the carry to the raised fairway. The safe play is to aim right and far away from the tempting river bend beach with a draw and hit a similar approach to the green perched high above another of the stunning white sandy beaches behind the green. Rarely will you find a setting for golf with the solitude of Grand Bear. Set in a National Forest so isolated from the real world that you may never want to return to civilization, Grand Bear is a delightful challenge. As expected of a Nicklaus Signature course, both the routing and conditioning make for a most memorable round. The idyllic clubhouse is the perfect location to savour your day and relive a course that you will want to play again when you get the chance.